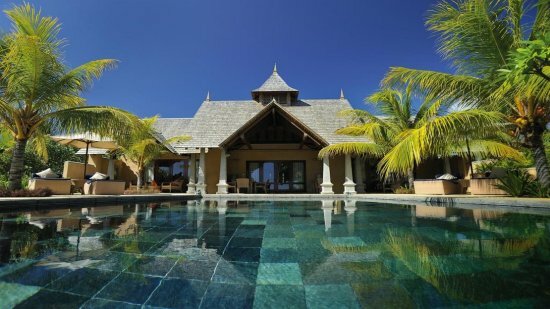 With a unique combination of Indian design and flair and spectacular Mauritian beauty, Maradiva Villas is a one of its kind family resort with numerous 5-star luxuries and privileges that will leave guests feeling like royalty. Understated elegance, careful attention to detail and the setting of dreams makes this island retreat an unforgettable experience. 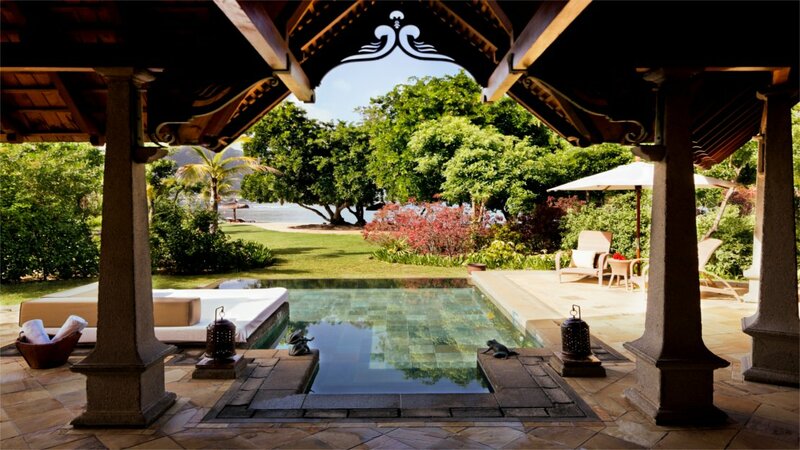 Relax in a privately-owned villa resort that oozes romance. Beautiful villas feature their own indulgent pools, dining terraces and exquisite interiors. Facilities promote wellbeing and spa privileges, plus many other leisure options and culinary delights are a decadent treat at this tropical hideaway. This is a beautiful space at 163 square metres, richly decadent and idyllic. Privacy whilst enjoying ample living space is the key to complete relaxation here, with the private pool and large terrace also adding to the success and rich feel. 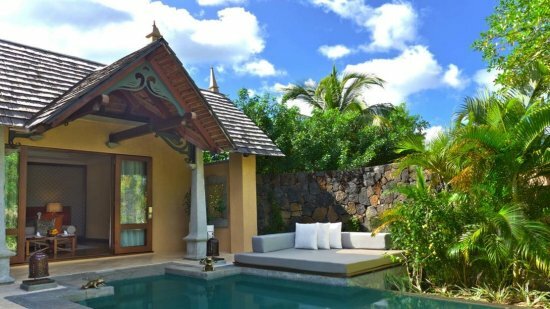 Intimate and tranquil these pool villas redefine luxury with terraces that feature a dining space, seating area and plunge pool for romantic evenings under the stars. Inside and the high-standard is evident at every turn with beautiful linens, wood furniture pieces and signature ornamental pieces. 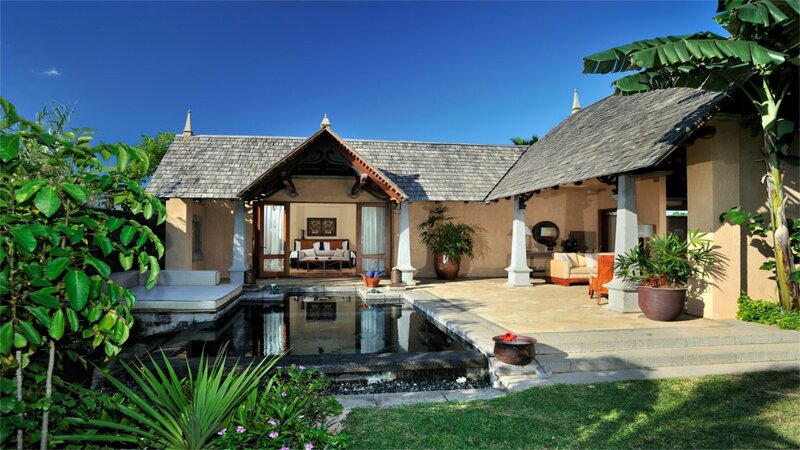 Beside the exotic Indian Ocean and pristine beachfront sits this stunning villa. Comprising spectacular views and exceptional provisions guests can lap up this surreal luxury experience amidst 163 square metres of opulent space comprising indulgent pool, terrace dining and spacious living areas all in pure paradise. Raising the level even higher, these Executive choices are not to be underestimated for their beauty and privileged status. A generous 220 square metres beside the beach, featuring an expansive terrace area for dining and private pool swimming aids tranquillity. Walk through the spacious living room and floor to ceiling doors on to the terrace, let the sounds of the waves gently ebbing at the shore soothe and relax as you take breakfast on the terrace. A butler is also at your service 24-hours a day should any further refreshments or room menus be requested. The utmost in breathtaking luxury, Presidential denotes the most luxurious that’s hard to match anywhere on the island. Indulge in 345 square metres of pristine living space. A truly exceptional layout incorporates two spacious bedrooms, two luxurious ensuite bathrooms and a remarkable living and dining room offering unrivalled views. The terrace is home to a private infinity pool and dining area, there is a butler on call and the location is at the centre of the resort’s crescent beach. 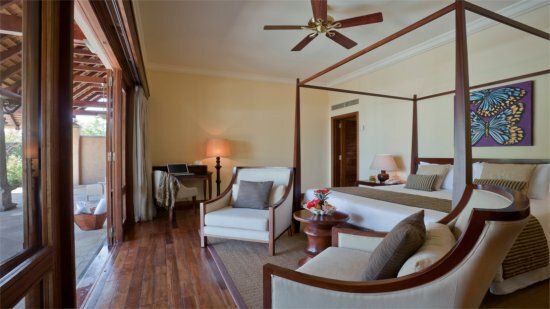 Synonymous with 5-star luxury are the thoughtful provisions at Maradiva Villas Resort and Spa. 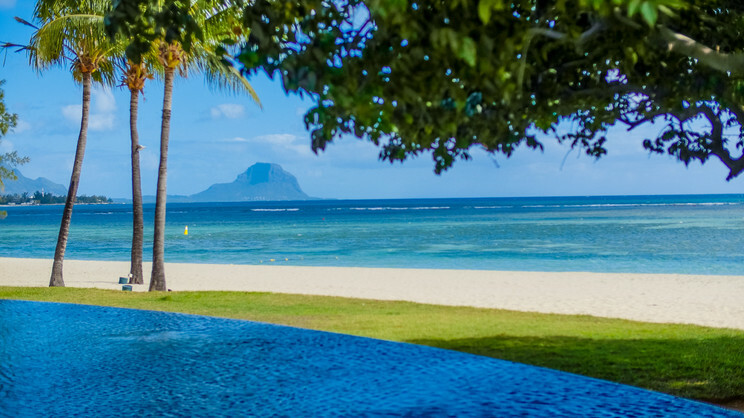 Ultimate bliss with a pampering spa treatment and night time magic with food and wine pairings enhanced by starry skies and entertainment ensures guests needs experience the very best of Mauritius’ Indian-inspired Maradiva. 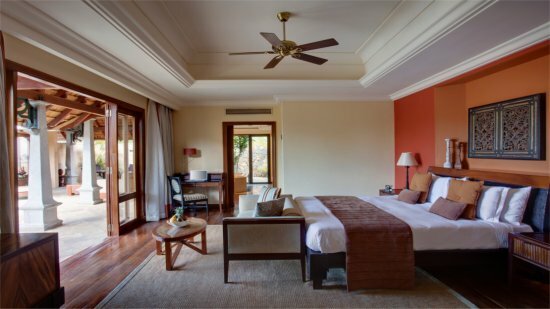 Extra-special and truly exotic, Maradiva Villas knows what it takes to give guests an unrivalled experience with innovative concepts destined to excite and warming classics that prompt memories of tastes and aromas. Delightful through to vibrant with a venue and beverage to match, here is where the heart of holidaying lies; beside the rhythmic sounds of the Indian Ocean and the dulcet tones of live entertainment. In Villa dining and beach and pool services add to the pleasant mix of fabulous cuisine and all manner of refreshment.